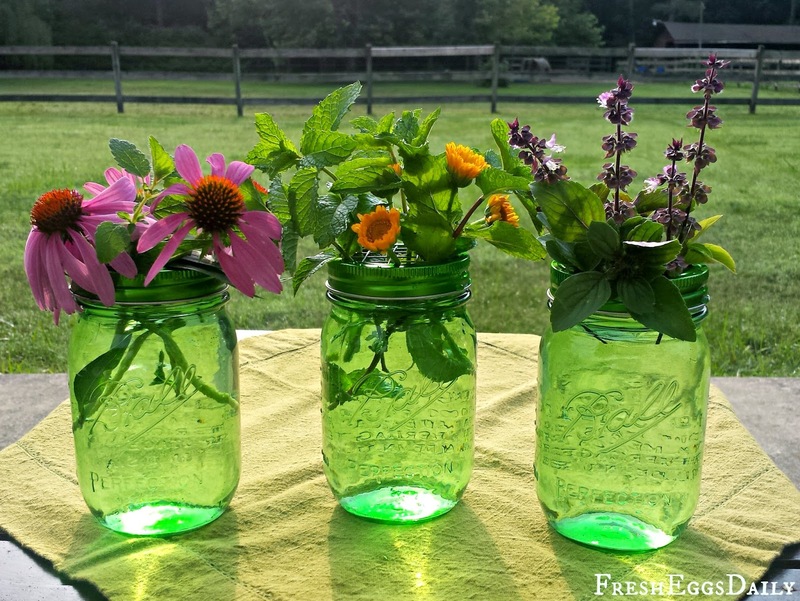 Mason jars make THE best flower vases. I especially love the new Ball Canning Heritage series of blue jars and green jars and matching blue and green lids and rings. 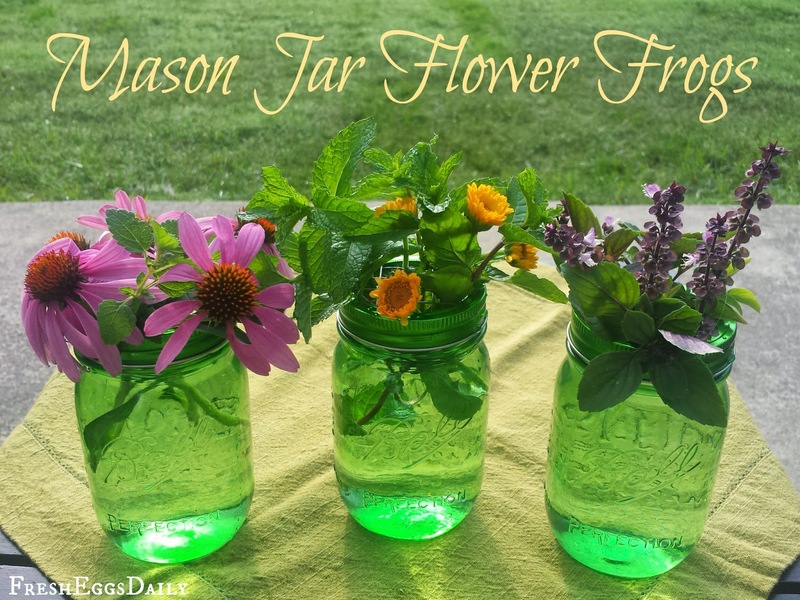 But regardless of what color jars you want to use as vases, making these easy flower frogs for the lids will ensure your bouquet stays put in the jar. Making your own flower frogs couldn't be easier. 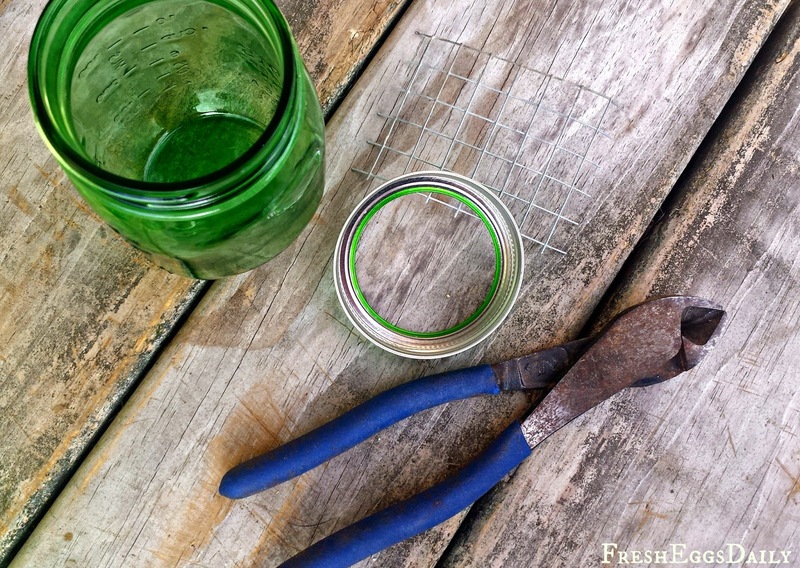 All you need is some 1/2" hardware cloth, wire cutters, and mason jars with the rings from the lids. And if you keep chickens, I'm guessing you've got some scraps of hardware cloth lying around somewhere! First make dots on the hardware cloth tracing around the edge of lid using a sharpie so you know where to cut. 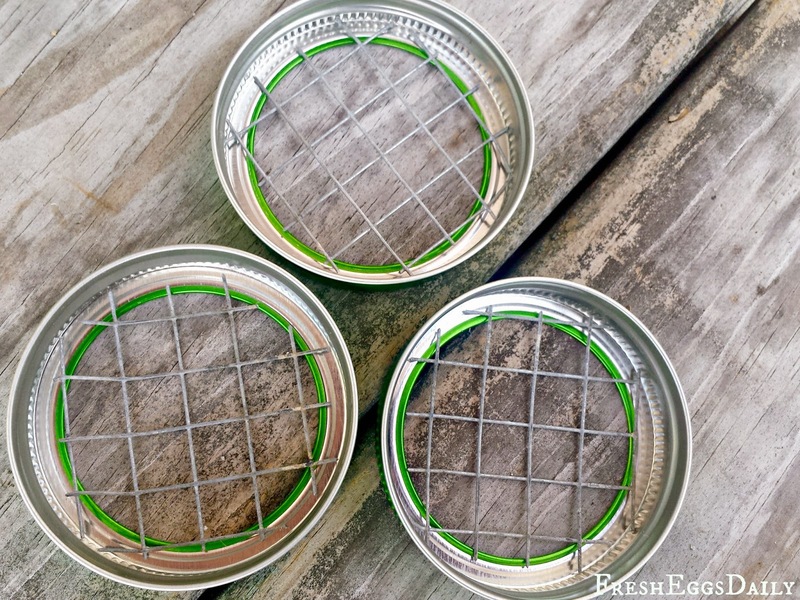 Then using the wire cutters, carefully cut your circle to fit. 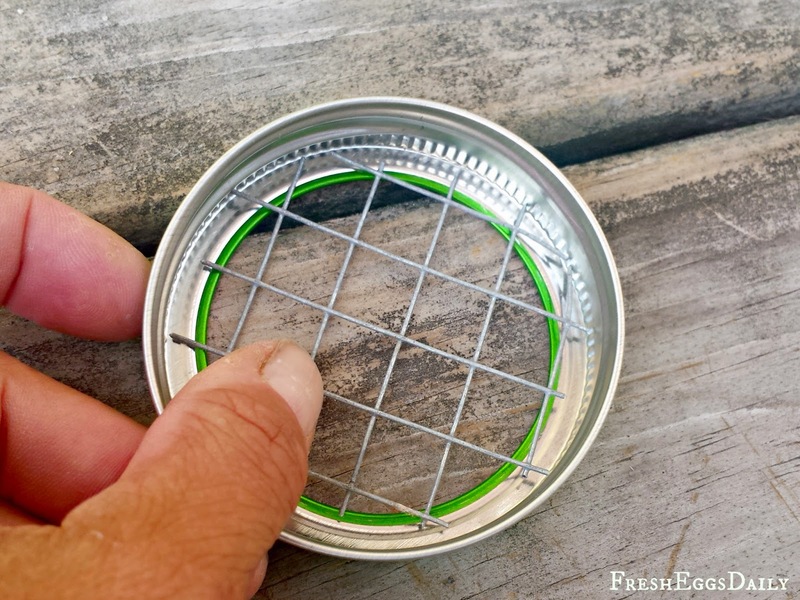 You can glue the frog to the inside of the lid, but if you cut the circle large enough and press it into the ring, it's going to stay put. 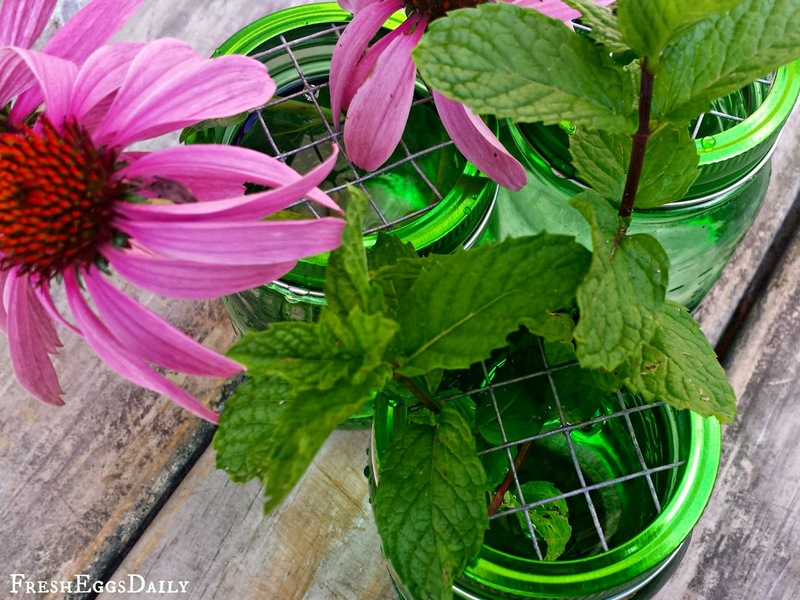 Then just screw the lids onto the jars, add some water and you're ready to use them. Easy right? 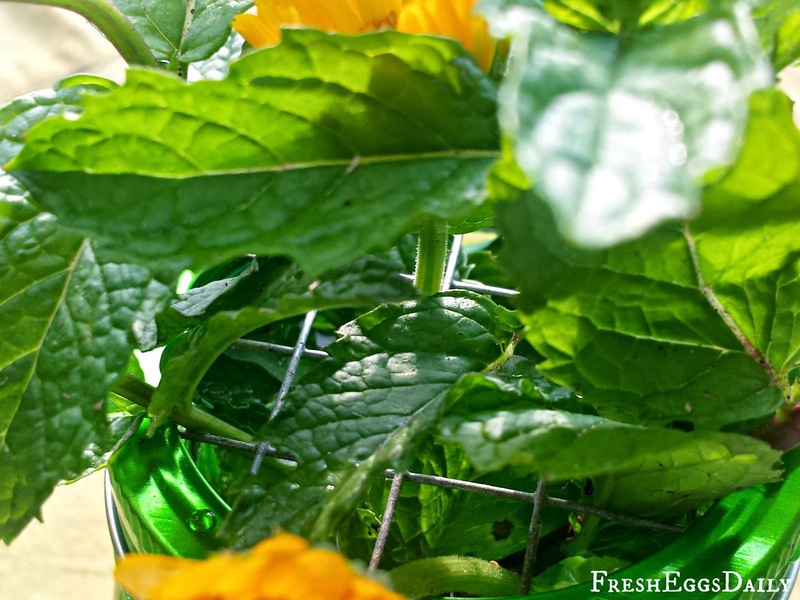 Cut your flowers and poke the stems through the wire where you want them positioned. 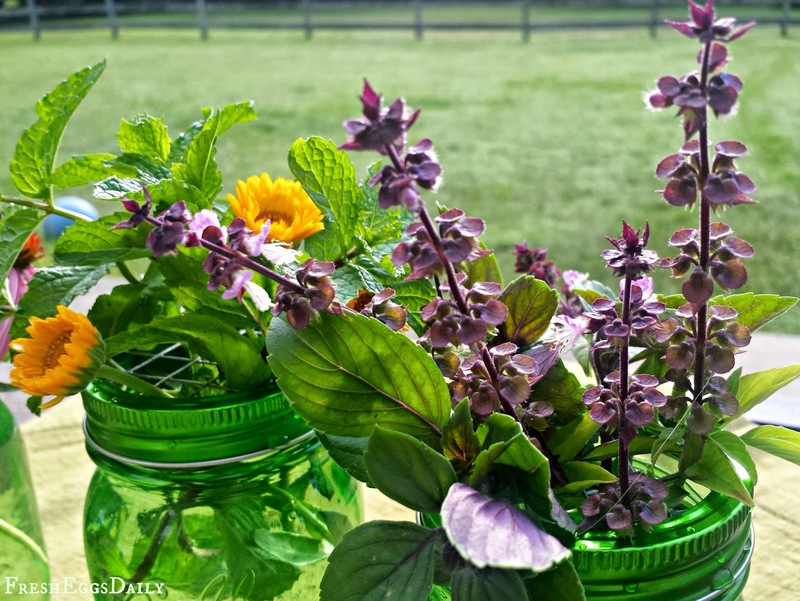 For my vases, I decided to use edible flowers and herbs picked from my garden. I used Echinacea and Lemon Balm in one, Calendula and Mint in the other, and Purple Thai Basil that had flowered in the third. I love using free plants that are so cheerful and pretty. After all, who needs a florist when you live in the country? Shop the Ball Heritage Mason Jar Collection HERE. Well that was easy! I have black eyed susans and zinnias and they are also flopping over the edge of the jar... this fixed it! Thanks!